A roof coating is a viscous fluid that’s applied to a flat roof surface. A roof coating is elastic, and stretches & contracts as needed without cracking or splitting. Why Is A Roof Coating Used? What Is A “Cool Roof” Coating? 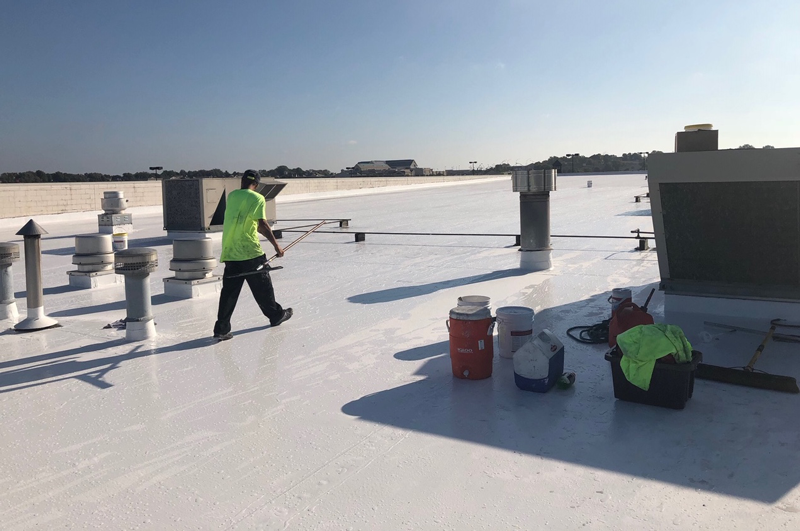 A “cool roof” is created when a flat roof or low-slope roof is coated with a reflective liquid, usually white, in order to reflect sunlight away from the building in hot climates, to save energy and cooling costs. What Comprises a Roof Coating? A liquid roof coating is thicker than paint, because it has a higher “solids” content than paint. The elasticity of a roof coating is caused by resins contained in the roof coating. This is what allows the roof coating to expand & contract over time, under different weather conditions, without cracking. 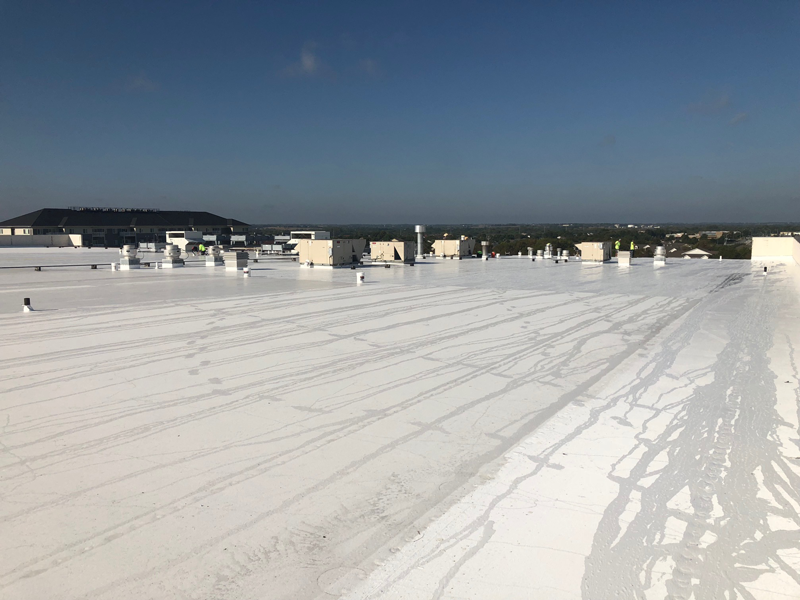 How Does a Roof Coating Reduce Energy Use In Summer or Hot Climates? 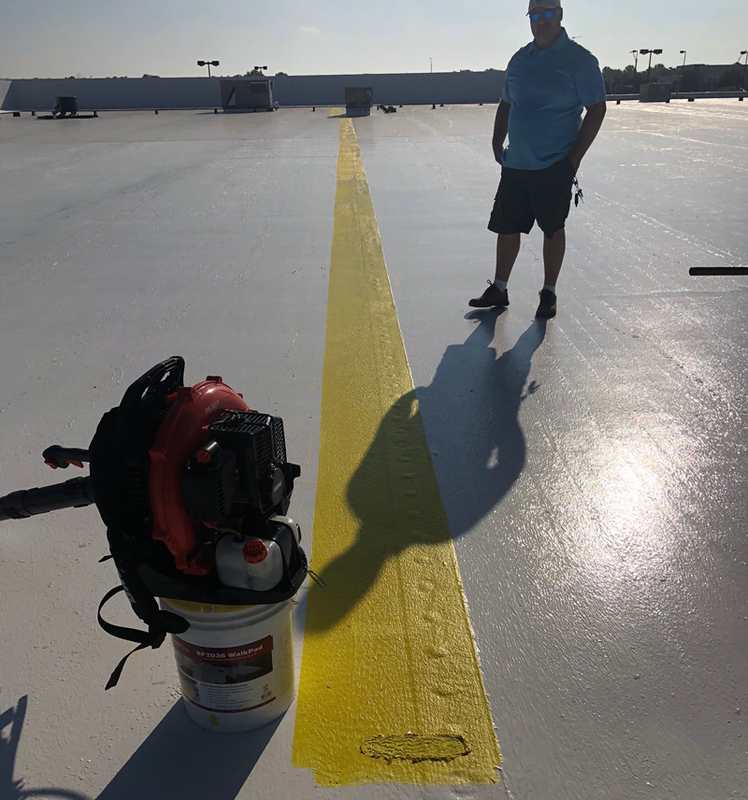 A roof coating reflects both visible light, infrared light, and UV radiation. 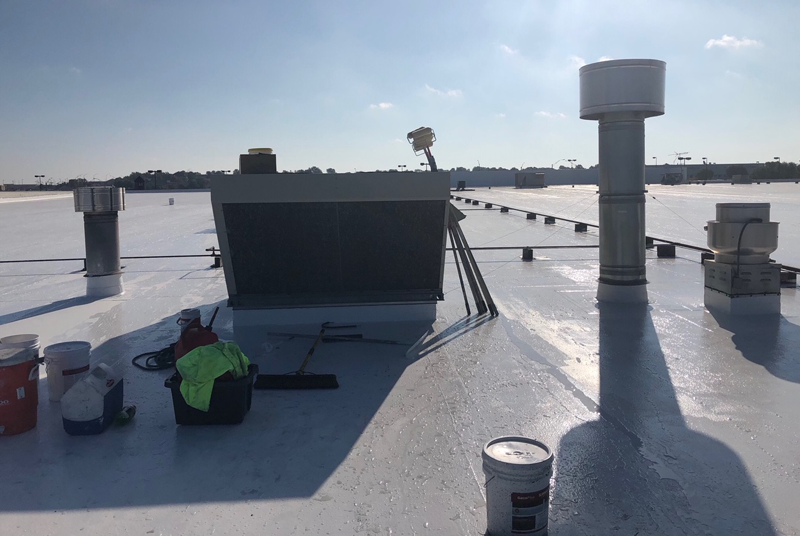 This helps reduce the temperature on the roof during daylight, which then reduces the interior temperature of the building and air conditioning costs. How Does A Roof Coating Reduce Construction Waste? 2.5 BILLION square feet of roofs are replaced or re-coated each year, with roofing debris the third largest amount of construction waste that gets dumped in landfills annually. 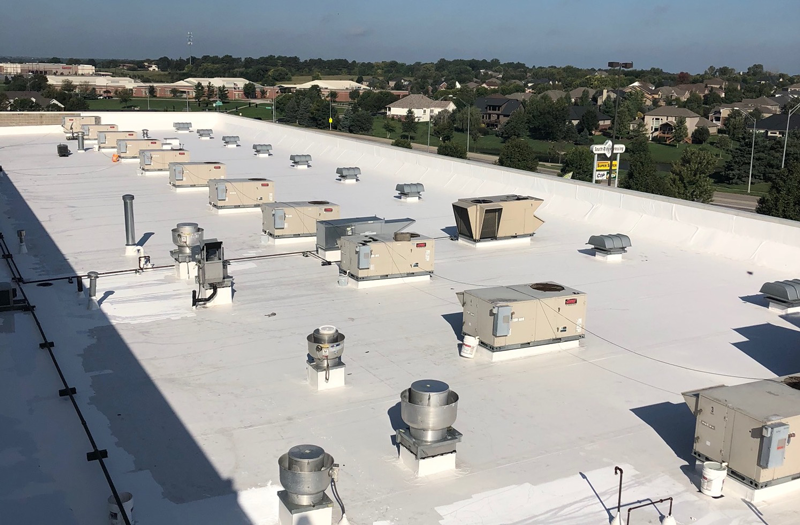 (Source: Reflective Roof Coatings Institute) A roof coating can extend the life of a roof by 5 to 7 years, which reduces the amount of construction waste from roofing. 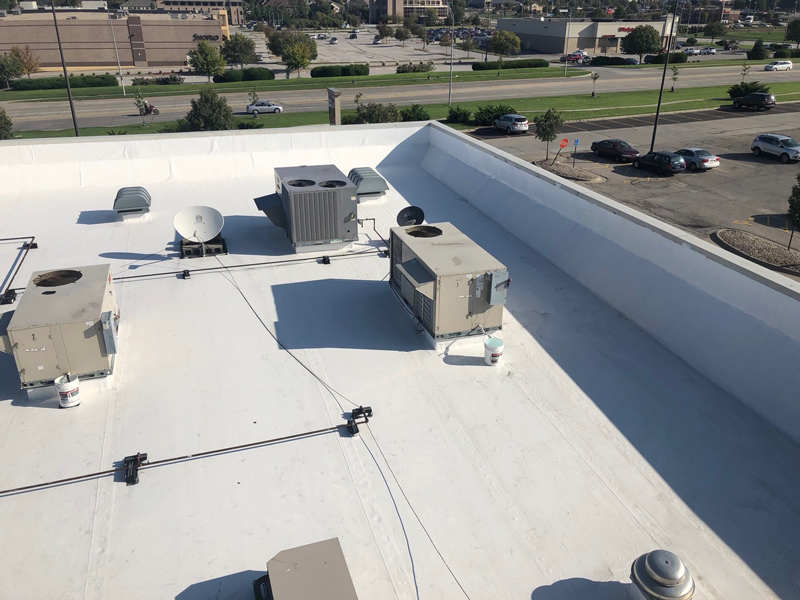 Advances in roof coatings and the life they add to a roof have shifted roof coatings from being a short-term, quick fix to a viable, long-term option for preserving a flat or low-slope roof. The bottom line is that roof coatings have come a long way in recent years. 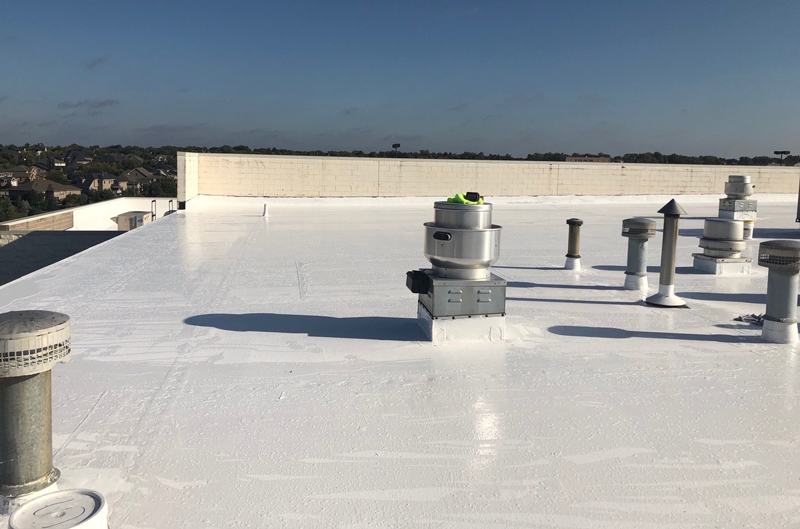 These advances make roof coating a compelling option for extending the life of your roof, and saving money in a variety of ways. Call North West Roofing at 303.804.0303, or contact us by email. Interested in a Roof Coating for Your Flat or Low-Slope Roof?